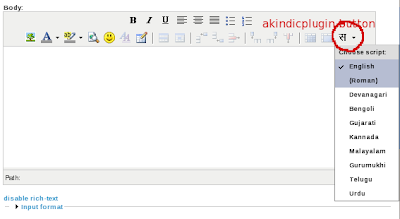 i was in search for an easy way to create some hindi pages for my website which was running on drupal then i heard about akindicplugin from Amit's Blog this plugin was for TinyMCE as this plugin was released under GPL i had a look into it then found i can also use it for my website and it would provide me the functionality i need it worked for me and so i am writing this How to Getting Hindi and other Indian Languages in Drupal What you need ? I recommend not to provide this service to all your users create a role for this service instead. 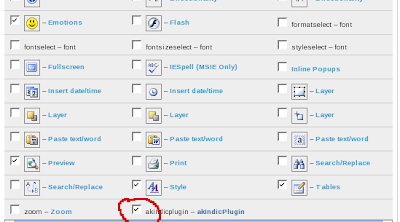 i couldnt find the akindicplugin in the link given above. Kindly send me an alternative working link or mail me.